Empowerment through self-discovery, exploration, and education. 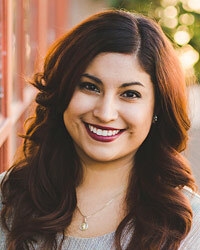 Anissa joined the New Mexico Simon Scholars Program, where she serves as the Scholarship Program Manager, in 2010. 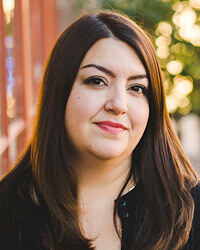 Anissa is a native New Mexican and has worked in the nonprofit community in Santa Fe for the last 10 years. She attended New Mexico Highlands University, where she earned her degree in Business Administration and Marketing. In her role as Scholarhip Program Manager, she manages the college scholarships and works closely with the Simon Scholars team in supporting our scholars. Prior to this she worked for the Drug Policy Alliance and Delta Mortgage. In her spare time, Anissa enjoys spending time outdoors with her husband and two children. 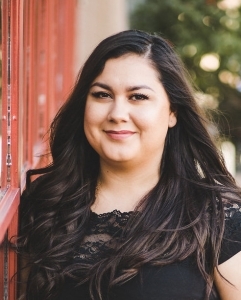 Janeth joined the New Mexico Simon Scholars Program as the High School Program Coordinator in July 2017. She is a first-generation student, an alum of the Simon Scholars program, and a graduate of Capital High School, class of 2011. She attended the University of New Mexico, where she pursued her degree in Political Science with a minor in Economics. After earning her degree in 2015, she worked as a mentor for high school students at College Plaza at Santa Fe High School. Janeth is very passionate about helping other students like herself surpass the barriers to obtain a higher education. Marilyn graduated as a Simon Scholar from Albuquerque High School in 2011. She then enrolled at the University of New Mexico, where she pursued a BS in Biology and also served as a Simon Scholars tutor during the 2012-2013 academic year. After earning her degree in 2015, Marilyn decided to further give back to the Simon Scholars program and became the Albuquerque Tutor Coordinator in the fall of 2016. In addition to this role, Marilyn is conducting Virology research at the UNM Cancer Research Facility as a PREP Scholar and is applying to Cancer Biology PhD programs. Mario first joined the Simon Scholars Program as a Tutor in Santa Fe in September 2015. His experience as a first-generation Hispanic who deferred completing college to financially support his family provides a unique perspective for high school students facing similar circumstances. 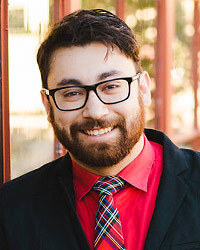 In addition to being the Santa Fe Tutor Coordinator, he works with both AVID and the Santa Fe Youth Shelter, providing individual and group tutoring to underprivileged and at-risk youth. Mario is currently an undergraduate at St. John’s College, Santa Fe, earning a B.A. in Liberal Arts through their world-class “Great Books” Program, and is the copy editor for their monthly student newspaper, The Moon. When not tutoring or studying, Mario can be found hiking, learning sign language, or watching re-runs of The West Wing. What matters most to me is making my family proud of my accomplishments. I want to go to college because I want a career that I love, not just a job. For me, it is important to go to college and be successful, not only for myself but also so I can be a role model for my little brothers and sisters. I am sincerely grateful to be part of this amazing program. Growing up, I had no idea what college was, and as I grew older, college never seemed to be a reality for me. This was until I was a sophomore in high school when I was given the opportunity to become a Simon Scholar, and ever since, I knew I would be attending college. Being a part of the Simon Scholars Program has been so much more than what I expected as a sophomore applying for the program. I don’t think any of us could have imagined the impact we all have left on each other or the people surrounding us in this program. The Simon Scholars Program became like my second family because they were there when I struggled the most. There were moments when I felt like giving up but they were there to reassure me that everything would eventually work out for the best. And it did! With the help from the foundation and from my parents I became the first in my family to graduate from high school and attend college.